M.I. 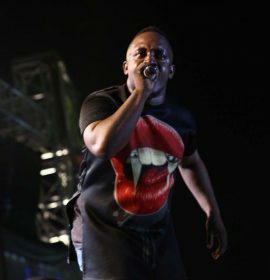 Abaga and Clarence Peters shoot video for controversial ‘You Rappers Should Fix Up Your Lives’, watch! African rapper MI Abaga releases visuals for his latest single, “YOU RAPPERS SHOULD FIX UP YOUR LIVES”. The fast paced visual is as Hiphop as it gets and artsy! Watch below! African rapper MI Abaga releases new single titled “YOU RAPPERS SHOULD FIX UP YOUR LIFE”. This comes after the trending topic and lawsuit against Legendary American rapper, Nasir ‘Nas’ Jones in the New York state Supreme Court.. Produced by: PatrickXXLee & mixed and mastered by: GMK Enjoy #YRSFUYL!! !